Allows you to store information about paypoint terminal. 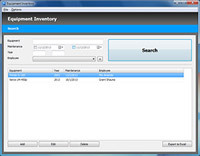 Manage your computer, office, or production asset inventory with this database. Quick and easy access to student performance data. Simple Invoicing Desktop Database. Also you can to print the invoice. For collect accurate marine engine information, presented in a desktop database format, searchable electronically. 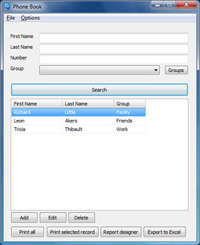 The Phone Book allows you to store basic contact information. Database of my purchases from the internet.